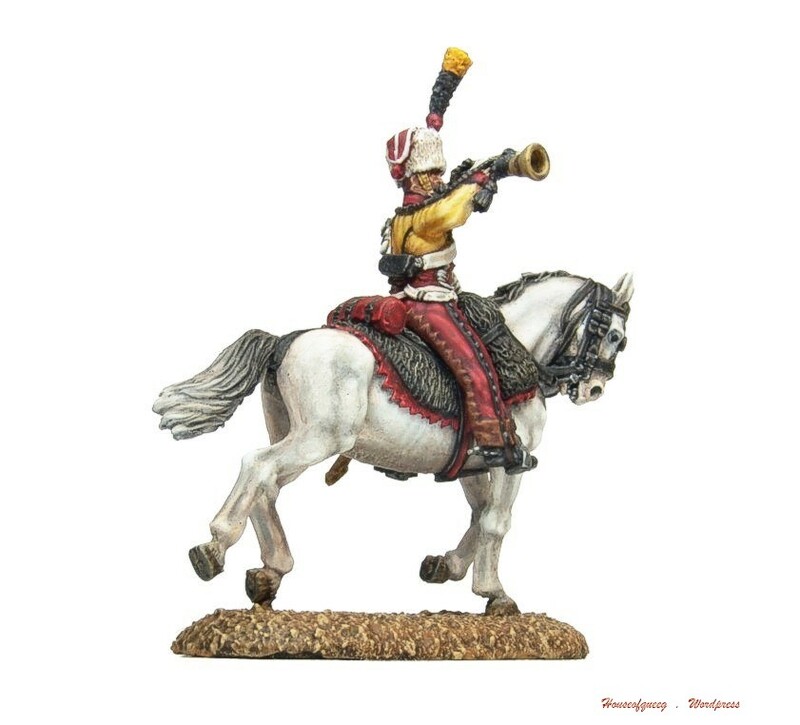 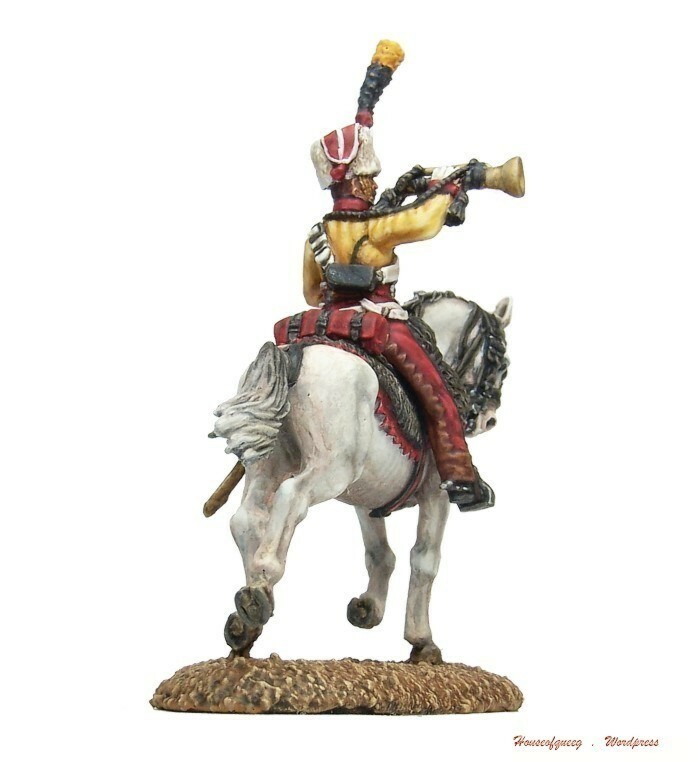 40mm Perry French Hussar Trumpeter. 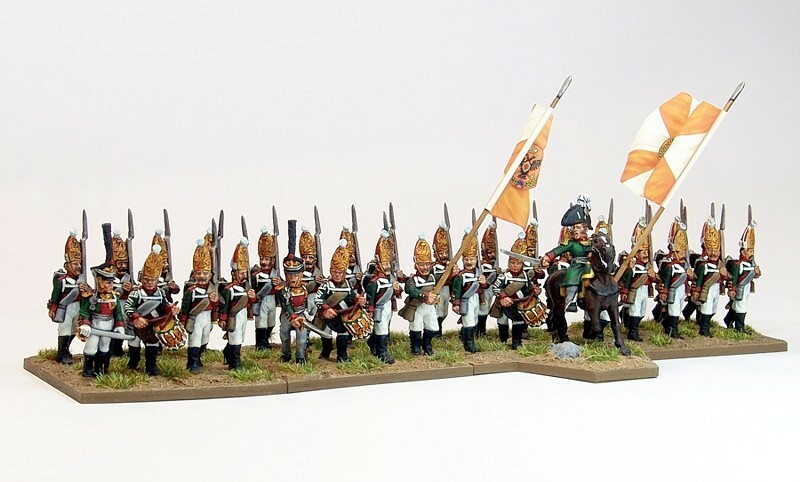 Gotta give these guys props for their uniforms. 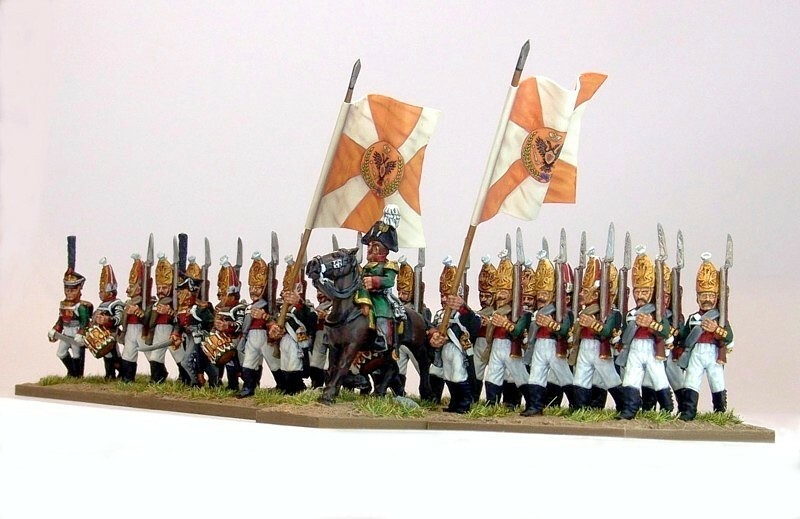 About 95% finished as the plan was to make some decals for the sabretache and bed roll, maybe one day. 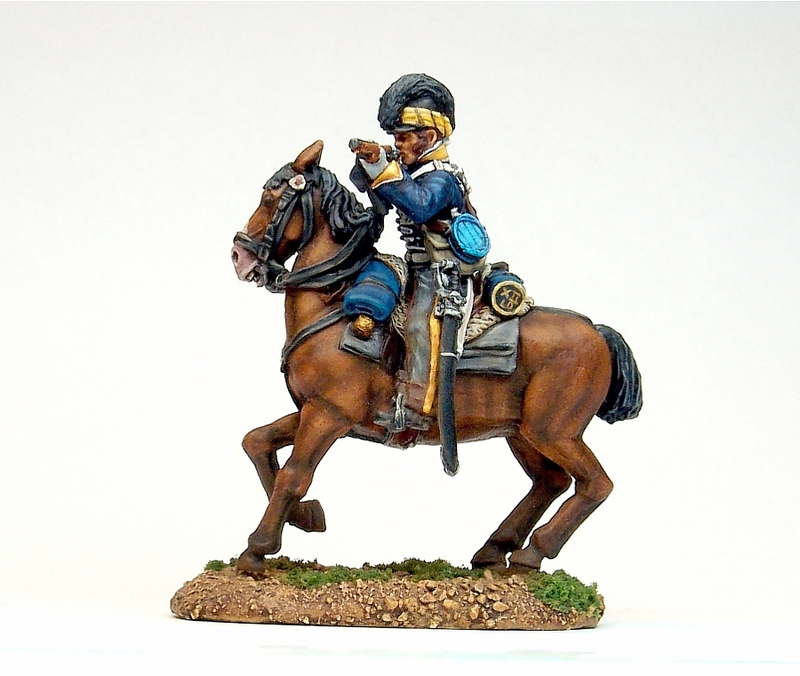 Also there’s a little “Queeg” interpretation of some colours because that’s how I roll. 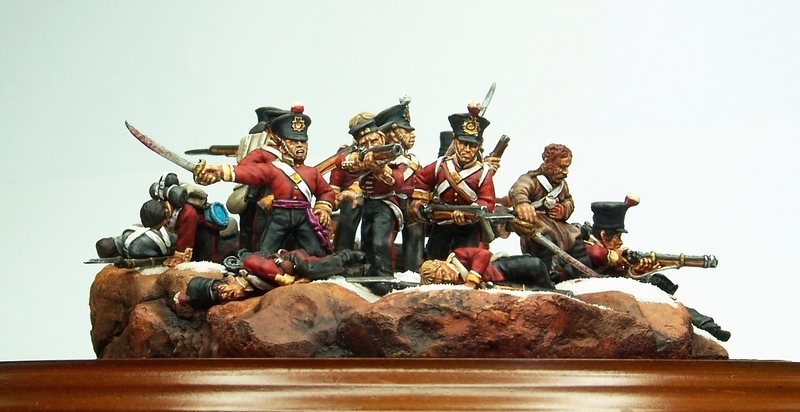 Also included a pic of a few other random 40mm Perrys from the Queegs long-stalled 40mm skirmish project …. 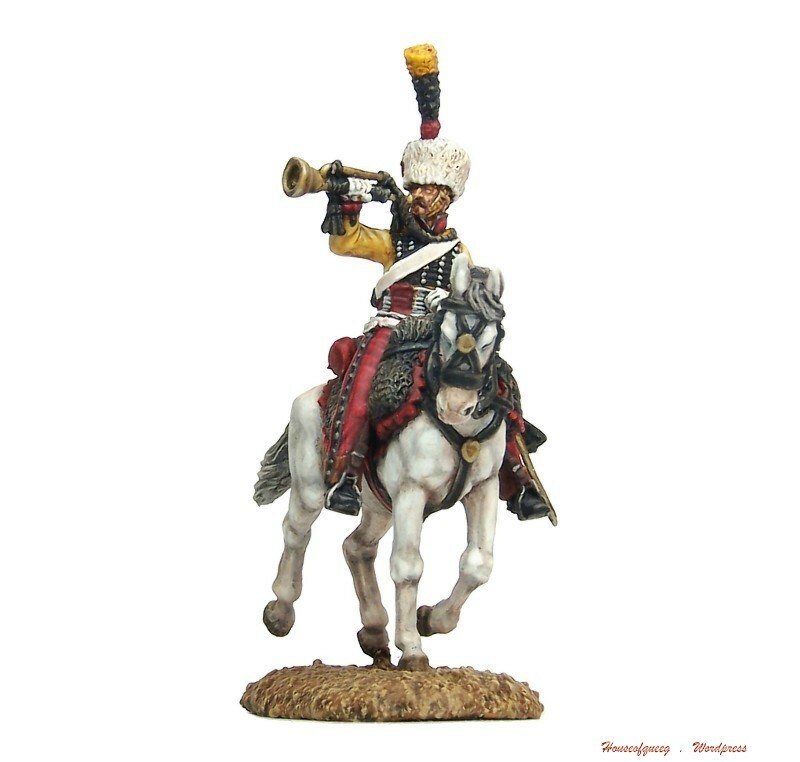 that’s another “maybe one day” thing. 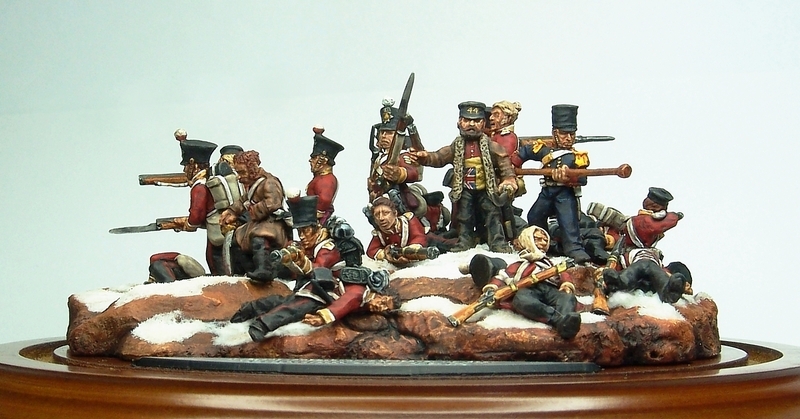 Just to show that I paint other things apart from tanks …. 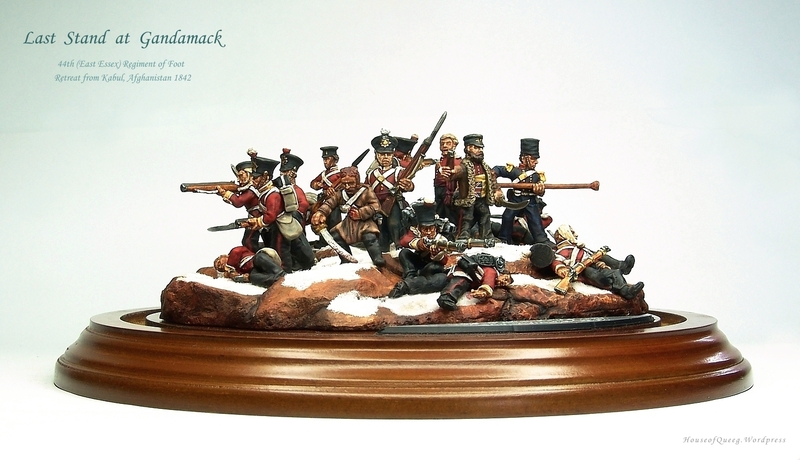 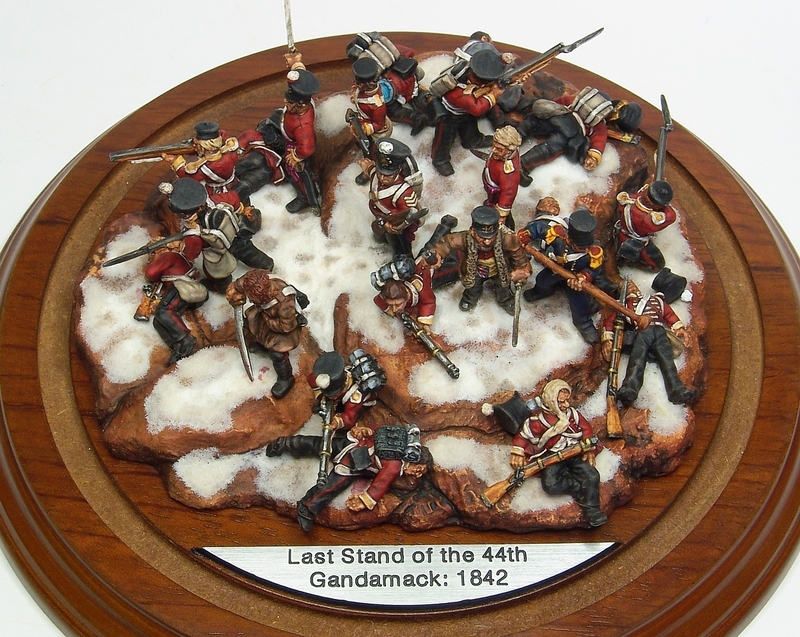 The Last Stand at Gandamack 1842 is a commission piece from a few years back, in fact it was one of the first large commissions I completed as a professional model maker. 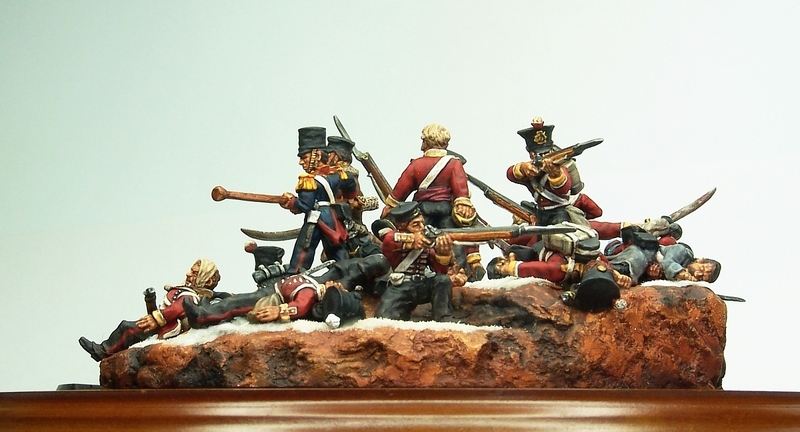 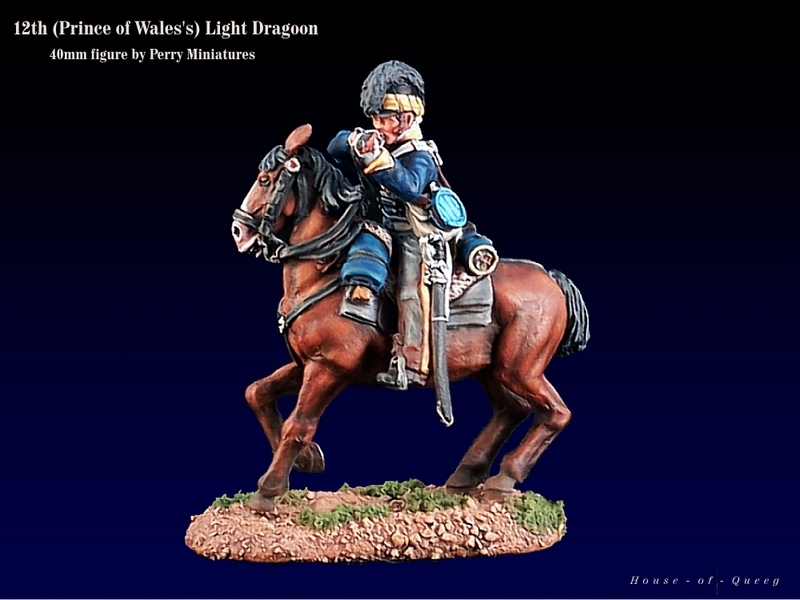 It uses British and French figs from the Foundry Crimean and Chinese ranges along with several conversions. 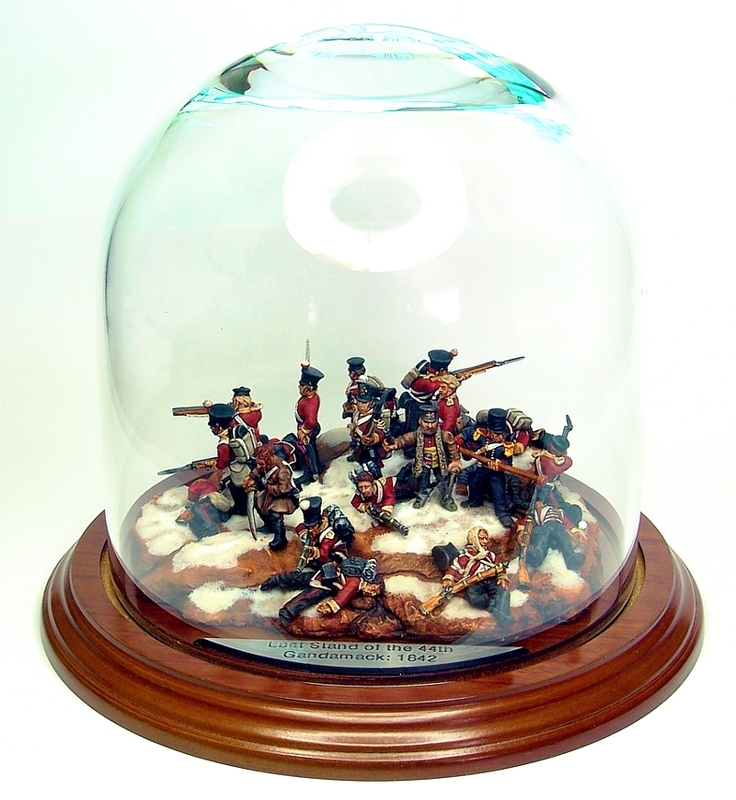 It still ranks as one of the things I’m most proud of – enjoy. 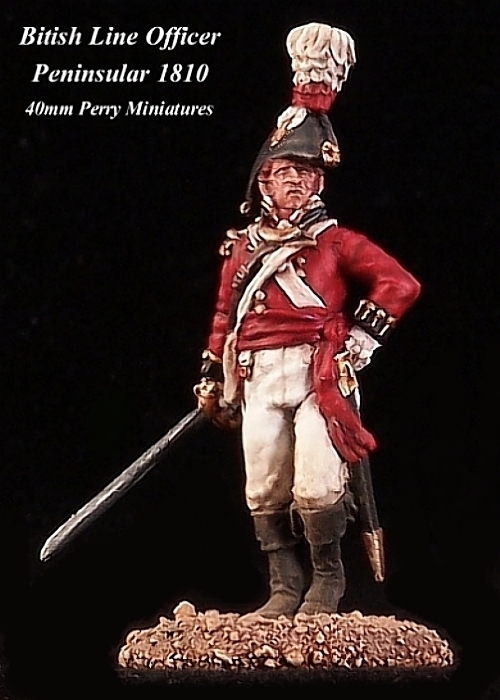 Another 40mm, this time a British Peninsular Line Officer …..
And wots this? 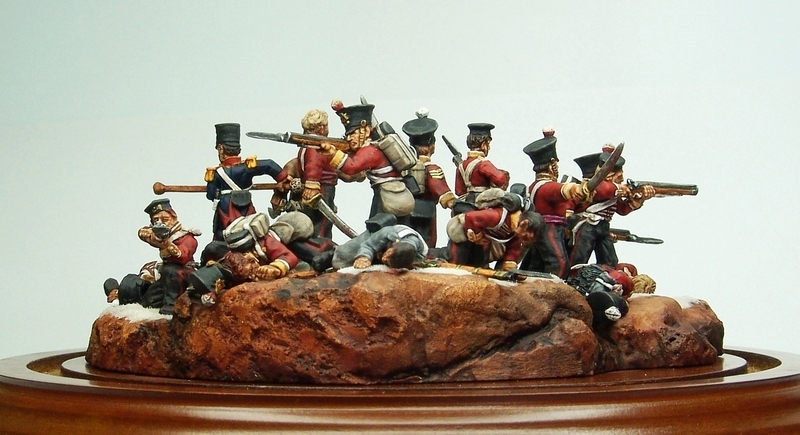 Heck I outdid myself with the paint on these guys ….. a pic of Pete’s Russians breaking out of their packaging. 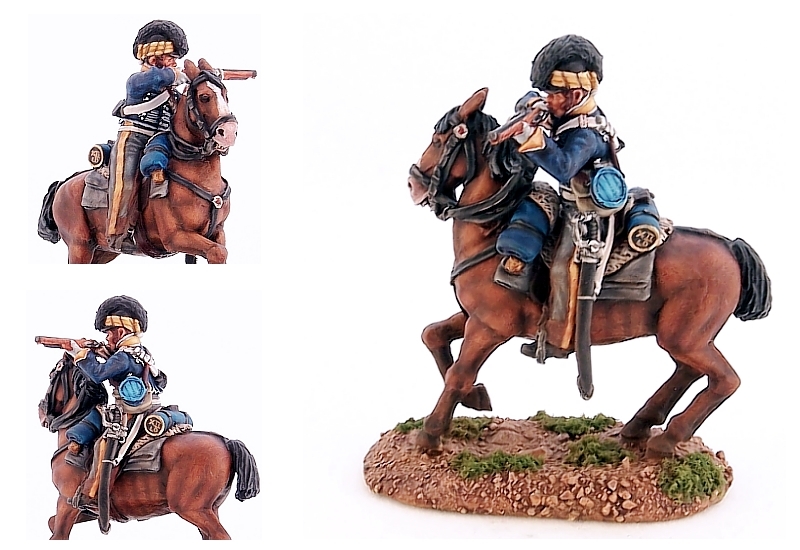 A couple views of a recently completed 32man unit of Pavlovs by Foundry. 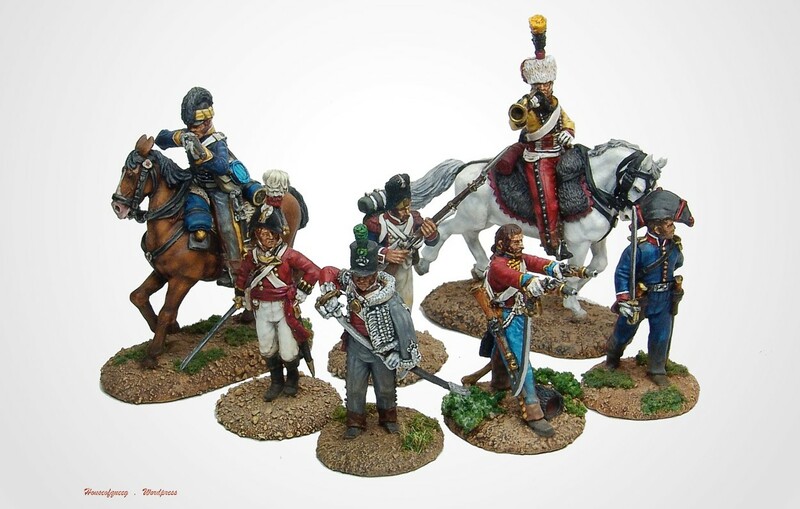 Nice figs but then I have a soft spot for Foundry and Perry figs in general. 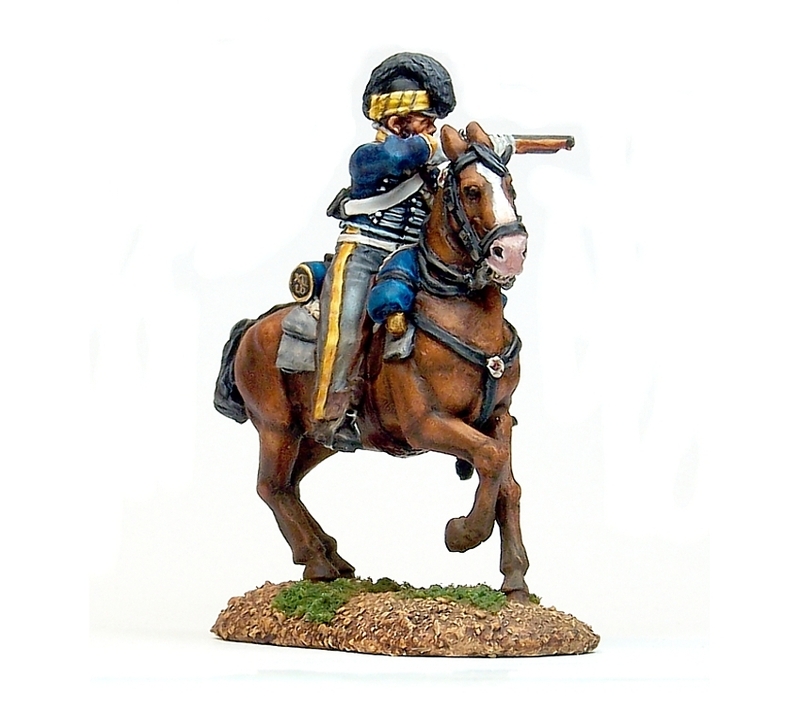 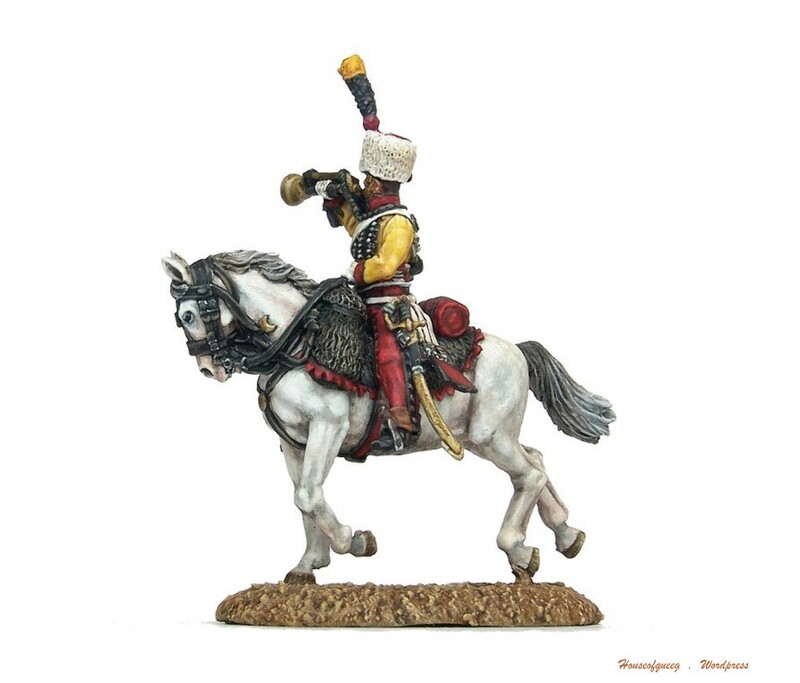 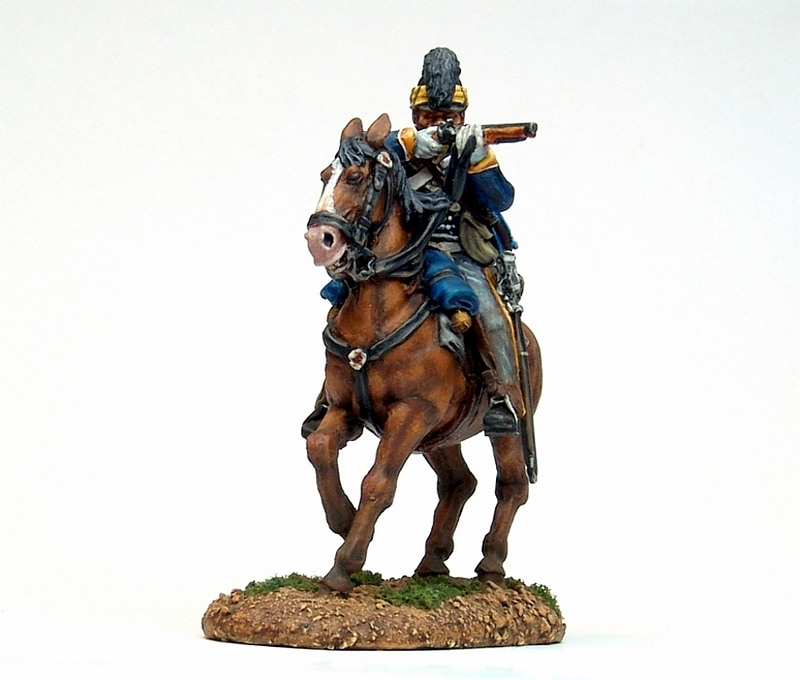 Speaking of Perry’s, I plan to pick up a couple of packs of Perry plastic Napoleonic Russian Infantry to complete and put up for sale, so it should be interesting to compare them to these for paintability and looks ….